MOW is a 2D driving game in which you have to respect traffic signals, avoid crashes and countless hazards; It's breath of fresh air in racing genre. MOW offers a totally unique experience in racing genre games. Imagine driving while you respect traffic signals, traffic lights or intersections and avoid countless hazards. Master the simple MOW controls to reach the end, using your dexterity and reflexes. 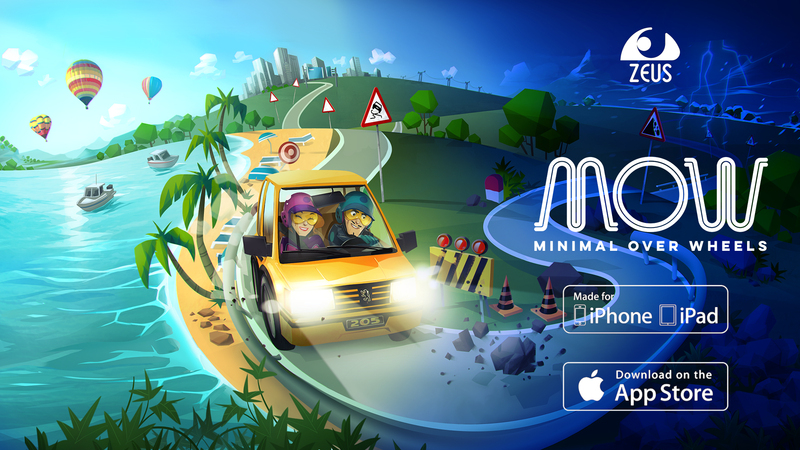 Beautiful graphics and excellent music will accompany you on your trip with MOW. Complete the circuits touring beautiful cities, sunny beaches and inscrutable mountains. Destroy obstacles by throwing bursts of light and get to the end without fail to get extra bonuses. Take care of your car, refuel to keep going and repair faults in the workshop. Superior experience to 60 frames, achieving a very smooth movement. Varied circuits with nice graphics crossing cities, coast and mountains. Drive in adverse weather conditions (rainy, snowy, stormy), . Great musical atmosphere and FX effects. Natural control of the car using gestures. Car computer on board to help you in your adventure. Collect coins to redeem for prizes. Collect pickups to get advantages on your trip.